Dale Wood has been called one of the most prominent composers of church music in the 20th century. His name is also widely associated with his distinguished work as editor, author, organist and conductor. The American Society of Composers, Authors and Publishers (ASCAP) has honored him annually since 1967 for his "very important contribution towards the creation and development of contemporary American music." Over eight million copies of his published works have been used in this country and abroad, with performances noted in 59 foreign countries in recent years. 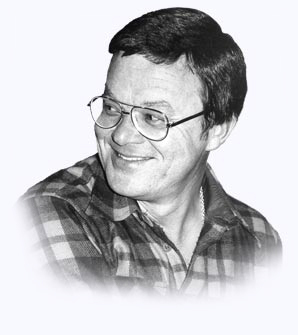 Dale Wood's career as a composer was launched at the age of 13 when he became the winner of a national hymn-writing competition for the American Lutheran Church. His first choral anthem was accepted for publication one year later. Wood has served as organist and choirmaster for Lutheran and Episcopal churches in Hollywood, Riverside, and San Francisco, California. He has published numerous articles on worship, liturgy, and church music and was a contributing editor to the Journal of Church Music for over a decade. His monthly column appeared in the Methodist journal, Music Ministry, for three years. He has lectured and conducted choral festivals throughout the United States, Canada, and Northern Europe, served as editorial consultant for several hymnals, and made numerous contributions to the Inter-Lutheran Commission on Worship. Wood headed the publication committee of the Choristers Guild from 1970-1974. After serving as music director at the Grace Cathedral School for Boys in San Francisco (1973-1974), he was appointed executive editor for The Sacred Music Press...a position he held from 1975 to 1996. He served as editor emeritus for The Sacred Music Press from 1996 until 2001. Dale Wood has been honored with the Exemplar Medallion from California Lutheran University for his extraordinary contribution to the world of music. Hymns and canticles composed by Dale Wood are found in the Lutheran Book of Worship, Worship II (a Roman Catholic hymnal), Seventh Day Adventist Hymnal, The Presbyterian Hymnal, The United Methodist Hymnal, the Agape Hymnal Supplement, the Moravian Book of Worship, the Chalice Hymnal, and several hymnal supplements. In 1990, Wood was commissioned by the Evangelical Lutheran Church in America to compose a musical setting of the Holy Communion liturgy for Lent. That setting led to a subsequent commission for additional music, making the setting usable throughout the year. His textbook, Hemidemisemiquavers . . . and other such things, has become a standard reference guide on the subject of music notation. Wood's musical activities have not been limited to sacred music. While still a college student, he entertained as organist at the Orpheum Theater in Los Angeles and appeared on television shows produced in Hollywood. In 1975, he was employed by the Royal Viking Line to entertain passengers on a 70-day cruise of the South Pacific and Orient. Today, Dale Wood maintains his home and studio at The Sea Ranch, California, 115 miles north of San Francisco. 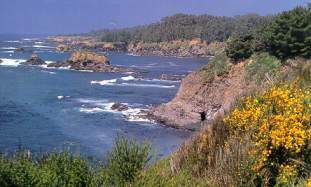 Over 5,000 acres of redwood trees and gentle meadows surround him in this small community on the rural and spectacular coastline of Northern California. Music critic Robert Commanday of the San Francisco Chronicle said of Wood's compositions, "His music is skillfully written, idiomatic, eminently practical, and direct in its effect." The conductor of the San Francisco Ballet Orchestra, Earl Bernard Murray, paid tribute to the music of Dale Wood by saying, "No conductor in the world could have had more beautiful music to premiere. His pen has been a fountain of joyful song. His music won't let go of us."